Do you need lump sum disability cover? Income replacement cover? Or both? You probably aren’t even aware that you can get your hands on two types of disability cover policies. One pays a lump sum of money at claim stage & the other pays out a monthly income (to replace the income you’ve lost because of your disability) Do you need both products? It really depends on your personal situation. In this blog post we’ll take a closer look at the questions you need to ask yourself to determine which type of disability cover you need. Let’s start with why disability cover is so important? What would you do if you couldn’t work because illness or an accident left you disabled? It’s a sobering thought. The situation could be dire and would probably spell financial ruin for you and your family. Sure, your company may be sympathetic to a point, but if you didn’t bounce back from the disability you would be replaced sooner rather than later. It’s not an easy pill to swallow, but it’s an unfortunate fact of life. In a super-competitive job market, No work = No pay! So, do you need a lump sum pay-out or income replacement? Or both? The answer to that question lies in your answers to the following questions (and we would also suggest that you get in touch with a financial advisor to help you with some of the calculations and to conduct a proper needs analysis). What type of group life benefits do you have in place at work? If you’re lucky enough to belong to a company retirement (pension or provident) fund, there is a good chance that a group life policy is included in your benefits. If you pass away or become disabled, what is the company fund going to pay out? You need to start with this question, as you might find that at claim stage you will be entitled to a lump sum pay-out or an income replacement package of sorts. Before you decide to take out any additional disability cover in your personal capacity, chat to your HR department and get your hands on this information. 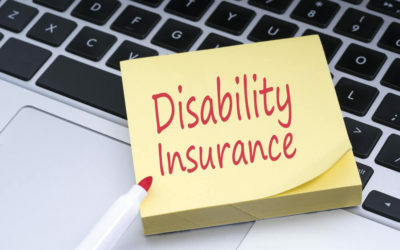 If your company doesn’t provide any “group” benefits, then your decision to get your own disability policy is an easy one. How much of your personal debt needs to be settled? If you become permanently disabled, which of your personal debt will need to be settled? If you have major debt like a bond, car repayments or large personal loans, this is when lump sum disability cover makes the most sense. You don’t want to be stuck without a job and have debt running into millions of Rand. How are you going to make the re-payments if you can’t work? You need to square off the debts as soon as possible and ease your cash flow situation. The easiest way to work out how much lump sum disability you need in order to settle your debt, is to tally up your debt. It would be a good idea, knowing how much you still owe, to grab at least R1,550,000 lump sum disability cover. What portion of your income needs to be replaced? Even with your major debts paid off, your day-to-day living expenses still need to be covered right? If your disability is permanent, that income might need to last for the rest of your life. The majority of insurance companies will provide you with an option to insure 75% of your monthly income which might be too much cover if your major debts are paid. It could also be too little if you still have those major debts in place. If your major debts are paid off then you will require a smaller monthly income. If you are sitting with major debt and you become disabled, you will need as much income as possible to continue honouring all your financial commitments. It’s important to note that you can only insure your salary once. Remember earlier in the post we mentioned that you should start by checking your company group benefits. If you have income protection with your company, you can’t take out income protection cover with your own insurer. If you do, then at claim stage, only one insurer will pay out. Waiting periods also have a part to play as your cover can kick in a week after you become disabled or months down the line. Obviously the shorter the waiting period, the more expensive the premium. With all of that being said, don’t opt for a 6 month waiting period just to get a reduced premium when you know it’s going to leave you in a financial mess if you need to claim. Why is a financial plan so important? Disability cover can get rather technical. What you need to know is that you can take out a lump sum amount or income replacement, or both. How much you need, while factoring in your company benefits, can get a little difficult if you don’t have any experience. You could over-insure yourself, which is just a waste of money or you might under-insure yourself, which is worse. Take the time to chat to an Old Mutual Financial Advisor today. Click here to find someone in your area.